The 80s Ski Party is BACK! Don’t miss this righteous kick off to your BC World Cup weekend including live music, boss giveaways, bar specials and MORE! Come early and enjoy a FREE Korbel champagne toast at 4:45pm! Ted Ligety will be joining the party at 5pm after a Live Streamed press conference with Ted, Steven Nyman, and River Radamus. After his party appearance, Ted will have an autograph signing in Beaver Creek Sports in Beaver Creek Village. Sign up early, on-site, and through flashing your Epic Pass for your chance to win VIP tickets to the races. Must be present to win! 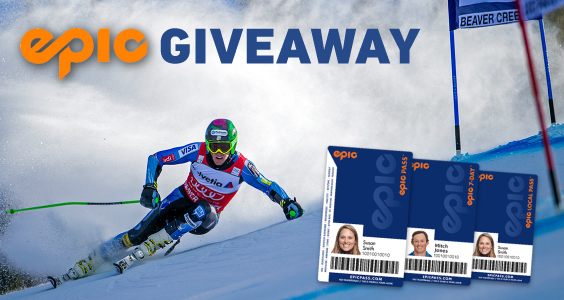 All Epic Pass holders have an opportunity to “flash” their valid 2018/19 pass at the Thursday, Nov. 29th 80s Ski Welcome Party to be entered to win race VIP tickets! Don’t miss out on experiencing Birds of Prey World Cup as an epic VIP.